Education is part of the fabric that weaves our future and opens up doors of opportunities to accomplish our dreams. For generations, however, the educational rights of Native Americans have been deteriorating under the weight of historical trauma and cultural contempt. At Native Hope, we are joining with a generation of Indigenous youth who are determined to pursue an education that does not compromise their Native culture, language, or spiritual beliefs. The issues surrounding Native American education are rooted in a history of upheaval, beginning with the government “relocation” of Native children from their families and tribal way of life to long-term boarding schools. It was a common practice at the time for this type of school to allow 'disciplinary' punishment, such as physical beatings or starvation, of Native American children for speaking their Native language or practicing their spiritual beliefs. These schools, however, would later be exposed and dismantled for allowing such excessive forms of abuse. The inexcusable circumstances that Native children faced during this time in history, however, have continued to have deep-rooted ramifications on the way American Indians relate to “mainstream” education. As a result, Native American children have the highest dropout rates of any ethnic group in the United States. Recent statistics from the Bureau of Indian Affairs have noted that between 29% and 36% of all Native American students drop out of school, mostly between the 7th and 12th grades. These numbers are even higher in areas where the parents complain of a major lack in understanding of Native culture. They are confronted with a world that does not understand them or their customs, and they are enveloped in an environment of isolation and self-doubt. However, through each passing generation, Native Americans have been finding their voice and reclaiming their future. For many, the process of hope and healing has come through not only a pursuit of culture and education, but also through a passion for sports and the discipline, dedication, and drive they afford. 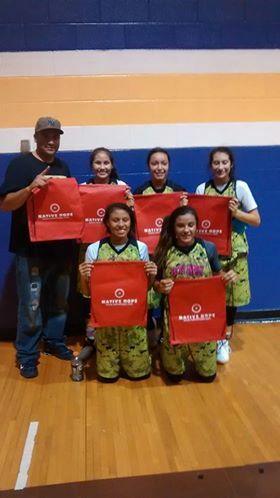 Recently, Kansas Middletent, Native Hope Ambassador, took part in the Dakota Oyate Challenge. Celebrating its 29th year, this annual basketball tournament brings in eight teams, both boys and girls, from around the state of South Dakota, as well as a team from Omaha, Nebraska. This event, along with the Lakota Nation Invitational taking place later this year, strives to attract college scouts for recruitment purposes. Both of these tournaments showcase players who may not have many opportunities to be seen due to the remote locations of most reservations. “Sports for Native American youth growing up on the reservation are more than just games. They are a livelihood, a way of life, and an outlet for our kids. 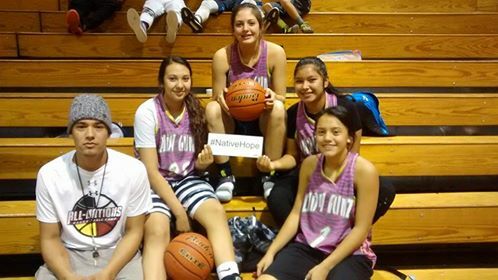 Most kids have the mentality 'Ball Is Life,' but for Native American youth 'ball really is life!' We know the better we are at sports, the better chance we have to receive a scholarship to try to create a better life for our family and our people,” exclaims Kansas. He goes on to explain the fact that “often times most high school graduates don’t attend college because they can’t afford to.” A sport’s scholarship opens up a world of opportunity that would otherwise not be possible. The bond between sports and education, specifically among our Native youth, is paramount. 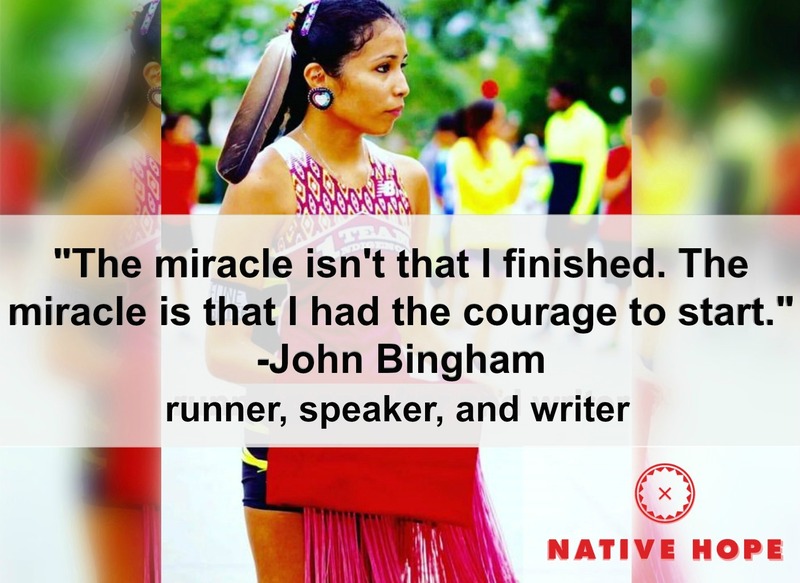 Your support and partnership with Native Hope goes directly to funding programs that cultivate this passion. Please support these valuable sports programs that keep our Native American youth in school—learning, growing, and emerging full of hope.